low calorie, carb, and full of whole grain, coco-nutty flavor! in a small dry pan on low heat, add raw coconut and toss around for 3-4 minutes until toasted. keep an eye on it! 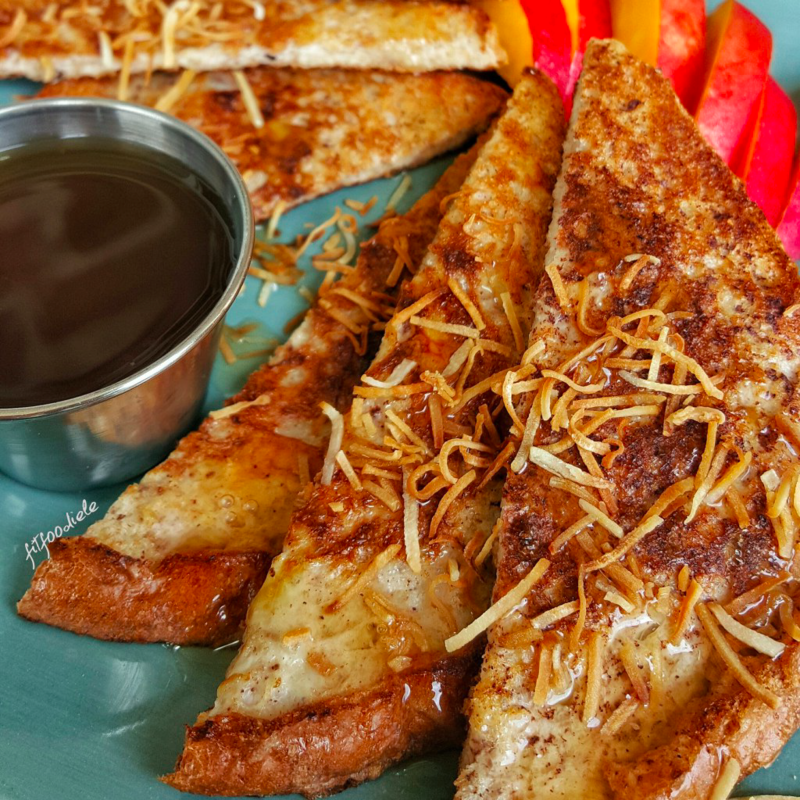 plate up your french toast and top it with powdered sugar, dairy-free butter, maple syrup, and finally your toasted coconut! i often use Sara Lee 45 Calories & Delightful Whole Wheat or Multigrain bread! that makes this entire recipe low calorie & carb, yet full of whole grains and coco-nutty flavor.